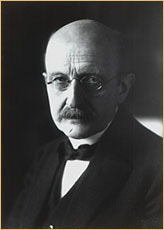 As the film opens, one of the principal characters, Max Planck is the most famous and respected scientist of his time, a global superstar in line to receive the Nobel Prize for Physics. A formal Prussian driven by integrity and excellence, his life is shattered when a 2 page letter from a complete unknown arrives on his desk showing his entire life’s work is just child’s play and he’s missed all the key points. Does Planck throw the letter in the rubbish bin (no one will ever know) - or will he fight for what is right and risk his Nobel Prize? 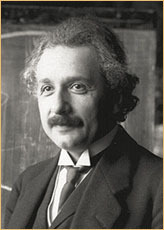 The young and completely unknown Albert Einstein, has already written 4 papers, each worthy of a Nobel Prize, including his famous Theory of Relativity, E=mc2 and laid the foundation for Quantum Mechanics which will give us all our modern electronic devices – computers, lasers etc. But this is not enough. While languishing as a 3rd class patent clerk, he sets out on a truly heroic journey to find a single General Theory which uncovers “god’s mind”. It’s an impossible task that nearly kills Einstein. Time and again Planck steps in to save Einstein but each time Planck’s best intentions backfire spectacularly, putting Einstein at ever greater risk. Will ‘good’ win out or will Einstein fail in his impossible journey and we’ll only remember him for E=mc2 and his Special theory of Relativity? 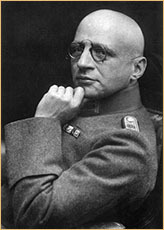 Fritz Haber is the wealthiest man in Germany because of his invention of how to make fertilizer, which to this day is responsible for 40% of the world’s food production. He’s arrogant and larger than life to compensate for his bald, short, fat stature. He’ll shortly receive a Nobel Prize and is Professor of Chemistry at Berlin University where Planck is the Direktor and Professor of Physics. 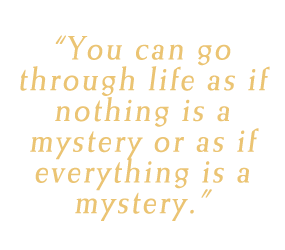 The movie shows Haber's transformation from an affable man to "Dr Evil", inventing Mustard gas which horrendously killed so many young men in WW1, bringing him into conflict with Einstein. Clara is the ‘catch’ of Berlin. Her smile and wit lights up a room. 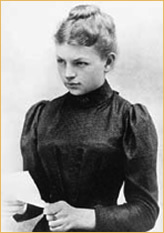 Not only the first woman ever to earn a Ph.D, in her day she topped Berlin University. A feisty outgoing woman and a role model for women’s rights. But Fritz feels threatened by Clara and gradually “knocks the life out of her” until that one cataclysmic event. © EINSTEIN PRODUCTIONS LIMITED. All Rights Reserved.